This is the Simmons Home, or McCullar House, at 903 Fillmore Street. 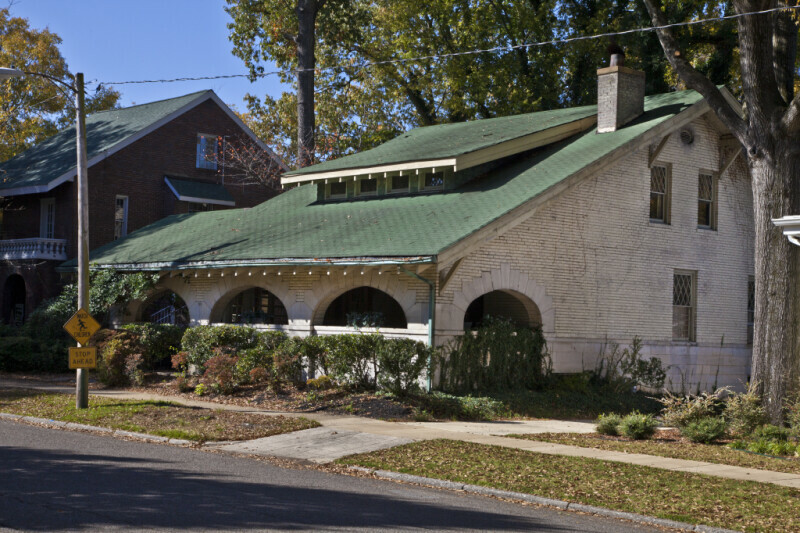 This brick house has a large side gable, with the roof extending over the front porch. The roof is supported, on the front elevation, by multiple three-centered arches; the boxed cornice, on the side elevation, is supported by multiple struts. There is a low, wide, shed dormer on the roof, with four casement windows. The roof lines, on the front elevation, shows exposed rafter tails. The overall impression is that the house was constructed in the Craftsman style; however, the shed dormer seems to indicate a Prairie School influence. There is an ox-eye window, near the apex of the roof, on the side elevation.